Hitting your 20s is considered a big milestone in life. It is the time when you graduate from college, start your career and begin to be responsible for all your expenses and bills. Your 20s are also the best time to build up wealth, the time before you settle down and start a family. By making the right financial moves in your 20s, it certainly will pay off in the future. Otherwise, you may find yourself perpetually struggling in the financial department. Here are some tips on how to save money in your 20s. We know that it is mindless and easy whenever you swipe your credit card. Best of all, you do not have to worry about paying the amount until the end of the month. However, using your credit cards do have a side effect. You tend to spend more, without thinking twice. A good gauge of an acceptable credit card debt should be no more than one-fifth of your monthly salary. And do repay the full amount. If you only manage to pay off the minimum money, some banks may charge you more interest when your next bill repayment comes along. Even though you are able to afford nice meals at a posh restaurant every weekend, is it necessary to actually eat there frequently? The aim here is to ensure that a certain amount of money remains in your bank account. More money has to come in than go out. Overspending is probably a huge problem for many youths, caused by a lifestyle that is unrealistic and unsustainable for their income level. Slurge moderately and save at least 20% of your take home income. When you have a regular and stable take home income, you have to figure it on how much you should set aside for your daily expenses. Without a budget, you may risk overspending on things you do not need and undersaving for big purchase items like a house or a car. First, list down all your expenses including food and transport costs and monthly bills. When all your expenditure is listed down in black and white, it is so much easier to know what you can cut down on. For example, I realised that i spent a lot on eating out when i wrote down my overall spendings so i was able to reduce my expenditure in that area, which translates to more savings. You can check how simple ways to track your expenses here and budgeting 101 here. This is something i believe a lot of us hear from our older relatives. Having an emergency fund is essential for any last minute emergencies. Being prepared is always better than having to get an emergency loan from the bank. You will never know what will happen in the future. An ideal emergency fund should ideally be worth 3 to 6 times more your monthly living expenses. Aim to save up at least 10% of your income. If you feel that it is too high, start with 5%. This emergency stash should never be touched unless it is for true emergencies. 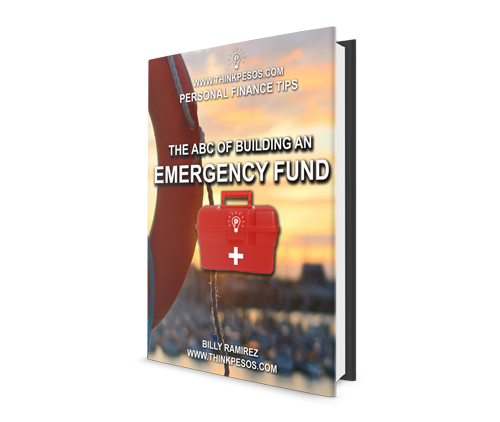 Check the ABC of emergency fund here. Insurance is a good way to secure your interests. Illnesses or accidents can cause shock , trauma and a hole in your wallet if you are not properly insured. Getting insurance at a young age means that your premiums cost so much less. Talk to a good financial consultant who can advise you on the type of insurance you should get. Some of the more important ones are life insurance, health insurance and an accident plan. Besides saving money, the long term goal is to gain financial freedom. The best and easiest way is to have passive money streaming in. The best way to get the passive income is to start investing. Sites like investopedia and online tutorials are a convenient and easy way to brush up your investment knowledge. In addition, try speaking to successful seniors. They definitely did not achieve success just by saving. Check and read investing 101 here. This great article is a guest post from Hui Min. This is also the first guest post published on this blog. 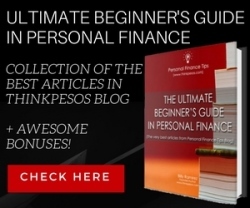 It is good to know that there other personal finance advocate helping us sharing personal finance tips especially to Filipinos. Hui Min doesn’t just want to be rich, she wants to be a self-made millionaire. She believes financial literacy is the best way to achieve this. While pursuing her degree, she takes on jobs like writing for ShopBack to increase her work experience.